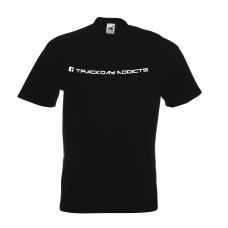 TRACKDAY ADDICTS curved logo on the front, your own slogan or number on the back. Use our product selection boxes to choose your size, T-shirt colour and print colour, and add your slogan (don't go overboard! there's only so much room on a t-shirt!). All our T-shirts are produced to order, most popular sizes and colours are produced and ready for dispatch the same day although some colours and sizes and can take up to 14 days for delivery, we will notify you if there is any likelihood of your order being delayed. Fancy something a little different? We can produce T-shirts to your own design or slogan, just contact us with your requirements. Standard postage and packing is INCLUDED in the UK.